Home of the WVC Guarantee: We will beat any offer, from any dealer, on any DaY! rates and terms on our vehicles. repair your vehicle with care. This program offers eligible participants the opportunity to purchase / lease vehicles and enjoy them with unique and substantial discounts. Automotive Service and Repair is an integral part of owning a car, and at Wabash Valley Chrysler we put quality first with our team of expert, manufacturer-certified technicians. Whether you need a simple oil change or some in-depth engine work, we’ll be here to make your auto headaches a little less painful with extensive knowledge of our namesake vehicles and genuine Mopar parts. 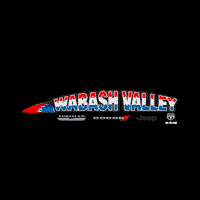 Wabash Valley Chrysler Dodge Jeep and Ram, located at 1972 South Wabash Street in Wabash IN, is proud to be Wabash, Indiana’s premier new and used FCA dealership. We strive to give you the very best vehicle purchasing experience possible. Come experience our no pressure sales with our friendly staff! You won’t be disappointed. From new or used auto sales to parts, service & repairs, or body shop work for your vehicle, we can help at Wabash Valley Chrysler. Automotive Service and Repair is an integral part of owning a car, and at Wabash Valley Chrysler, we put quality first with our team of expert, manufacturer-certified technicians. Whether you need a simple oil change or some in-depth engine work, we’ll be here to make your auto headaches a little less painful with extensive knowledge of our namesake vehicles and genuine Mopar parts. Wabash Valley Chrysler Dodge Jeep and Ram is proud to have a State-of-the-art Body Shop in the greater Wabash, Indiana area. Our expert technicians are well-known with referrals from various places for producing only the best quality body repair on your new or used Chrysler, Dodge, Jeep or RAM vehicle. We are the foremost authority for all auto body repairs and work with all insurance companies. We offer custom body painting with a Bake On Paint Booth. We also have the best paint and body technicians around!